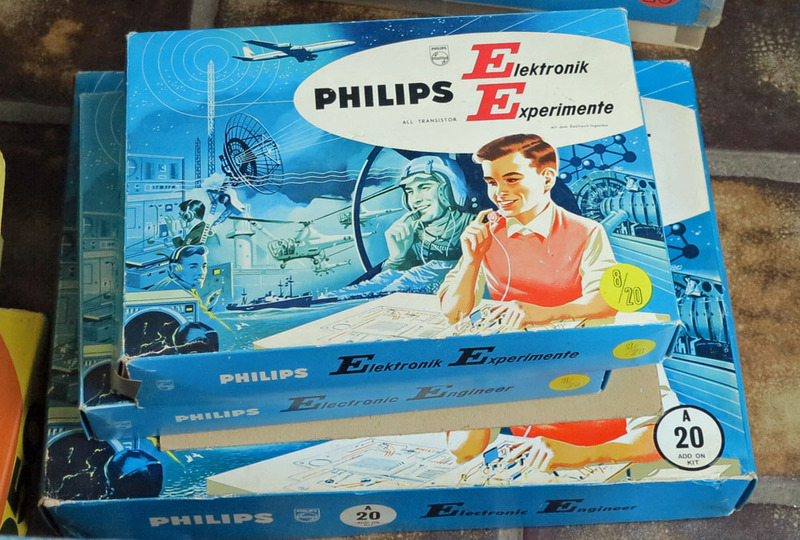 Philips (Germany) made a new series just called Electronic and with letters in the name and titles like Aufbau, Basis, Expert, Profi. 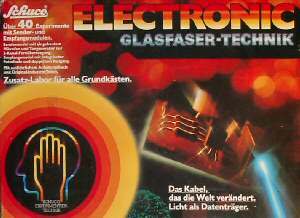 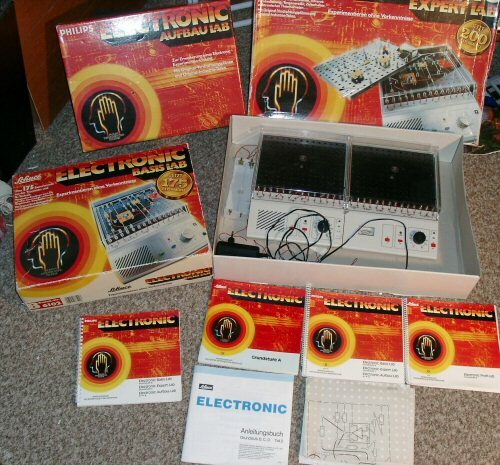 Most are just repackaging of EE2000 and EE3000 series designs with newer components and experiments. 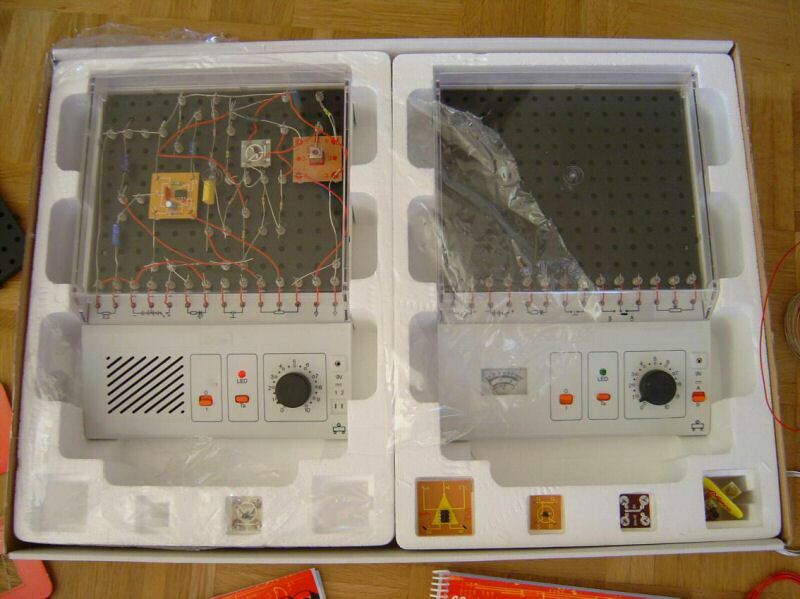 I have owned the 6102 Basis Lab, the B 6203 Expert Lab and 6103 C-D Aufbau lab, effectively in total the 6104 D Profi Lab. 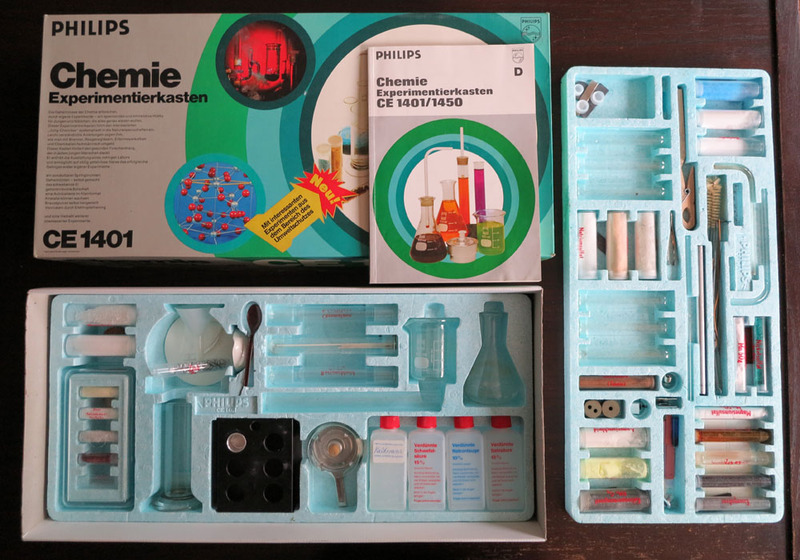 And a separate D 6104 kit, an enormous amount of experiments! 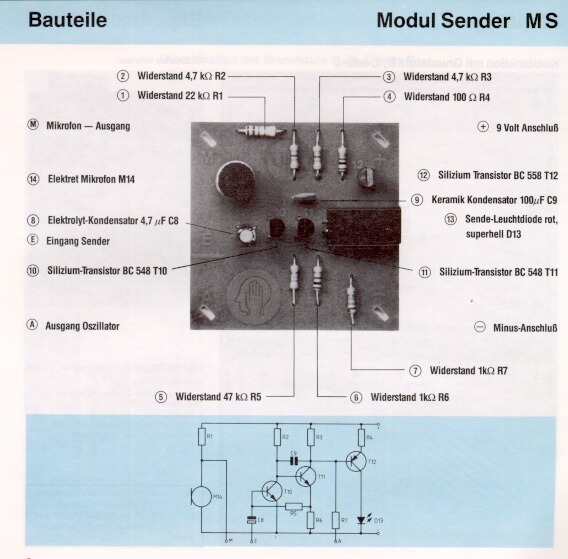 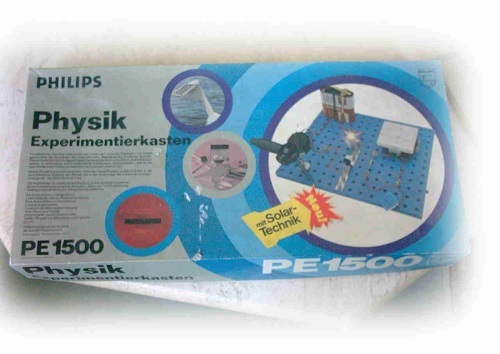 The kits were transferred to Schuco in the nineties and many variants were made, mainly for the german language market. 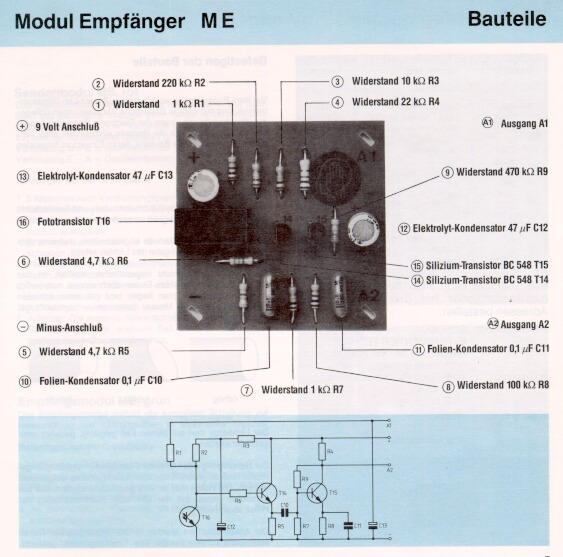 Schuco stopped several years ago alas with electronic kits. 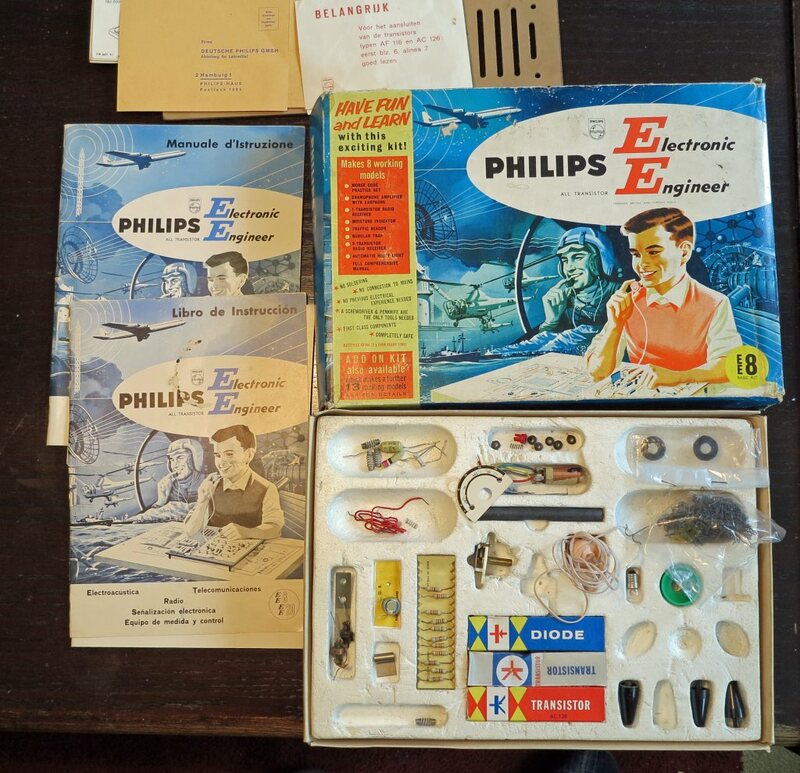 This kit is an original Schuco development, no Philips predescessor because of the new glass fibre technology. 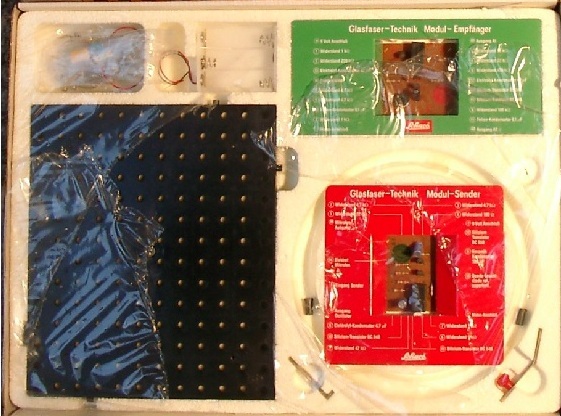 The kit holds a sender and a receiver pcb and a couple of meters of fibre. 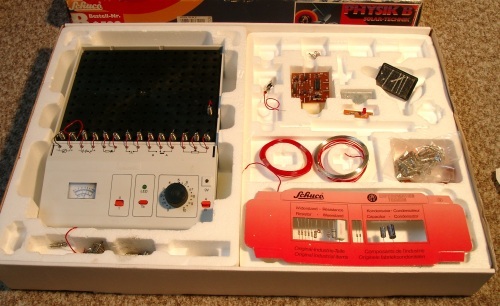 Combined with the ABC kits you can do nice experiments including a voice-over-fibre project. 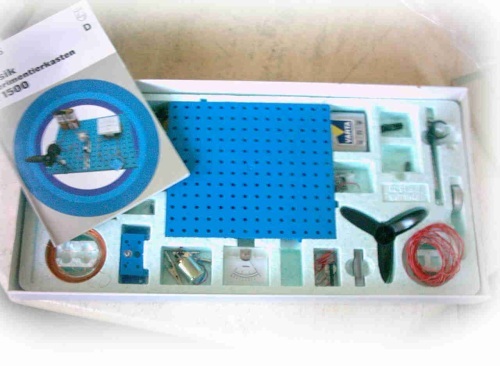 This kit has many experiments with a motor, a propeller and a solar cell and small electronics PCB. 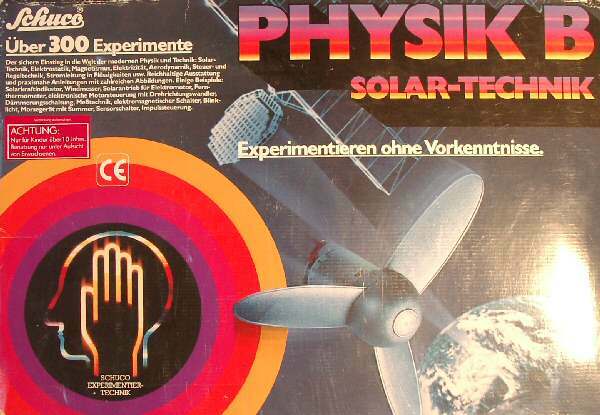 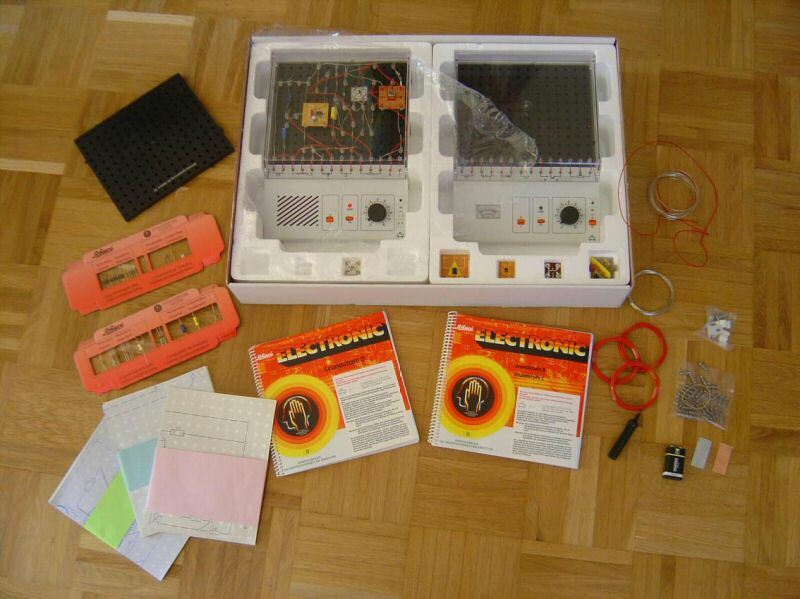 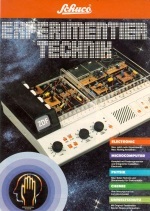 Though it is a physics set, it is designed like a kit in the ABC series, including the experimenters box and board. 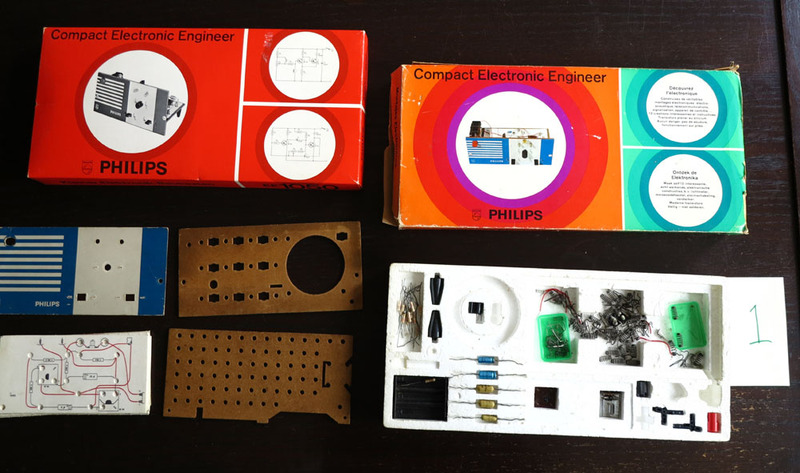 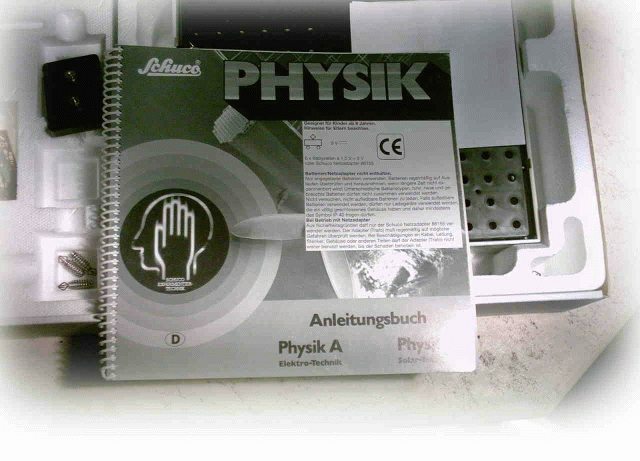 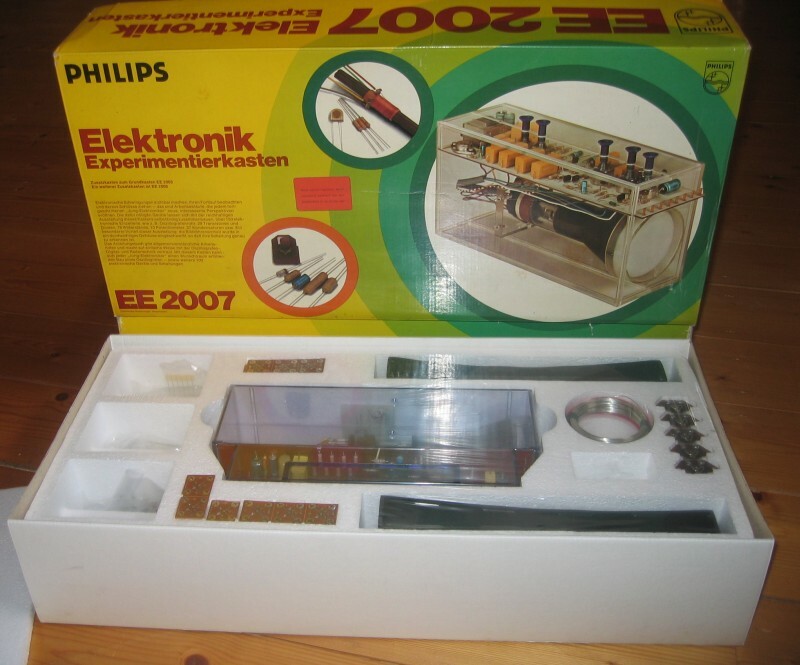 The Physik A kit made by Schuco is a direct descendent of the Philips PE1500 kit as you can see on the next pictures.The electronics is a bit more advanced in the Schuco kit.